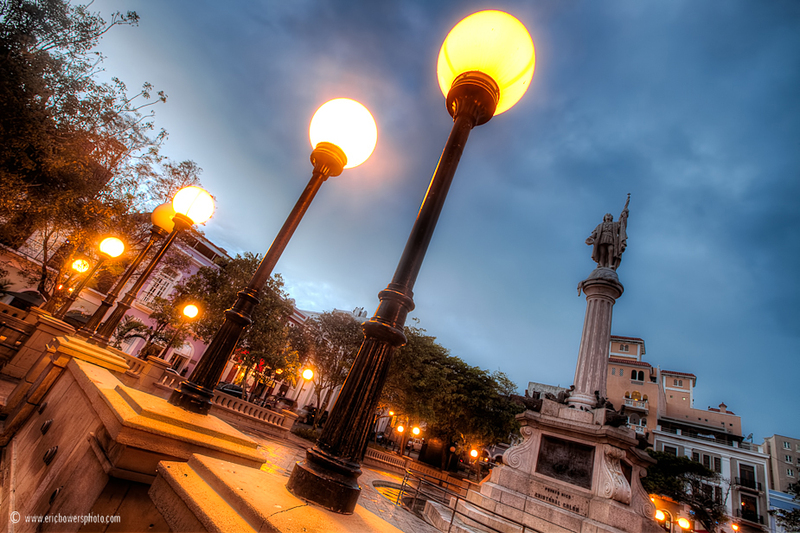 The center-point of Old San Juan, Puerto Rico and a hub for the touristy historic area, the public square Plaza de Colón in San Juan. 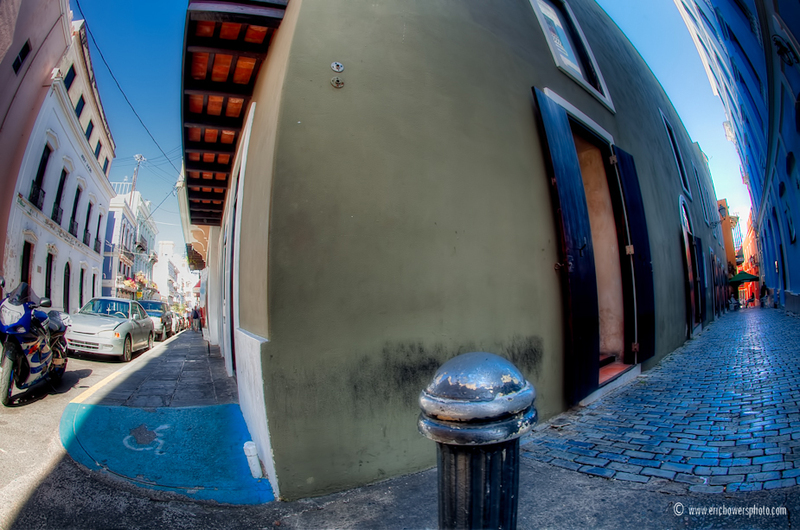 A placeholder weekend post – a photo from my trip to Puerto Rico back in mid-March. I still haven’t quite finished all the editing work on those photos yet. Another image I shot while there, at Fort San Felipe del Morro, is now listed on Getty Images. A couple more photos from my Puerto Rico trip back in March – I still haven’t finished the editing work on the last few shots. 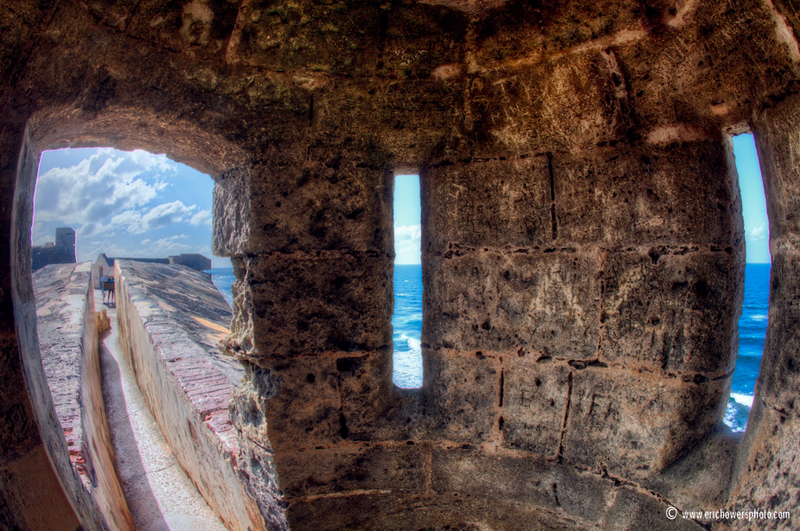 Inside a sentry lookout at Fort San Cristobal, San Juan Puerto Rico. The Jose V. Toledo Federal Building and U.S. 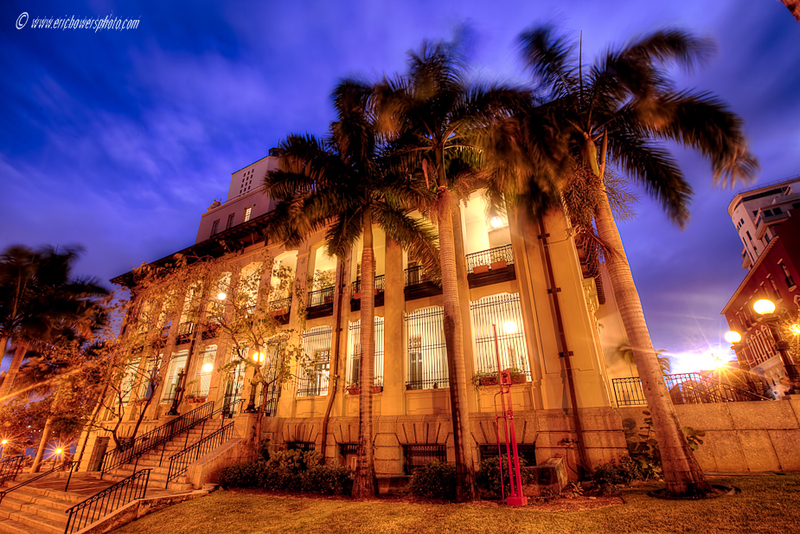 Courthouse in Old San Juan, Puerto Rico on the evening of March 21st, 2011. 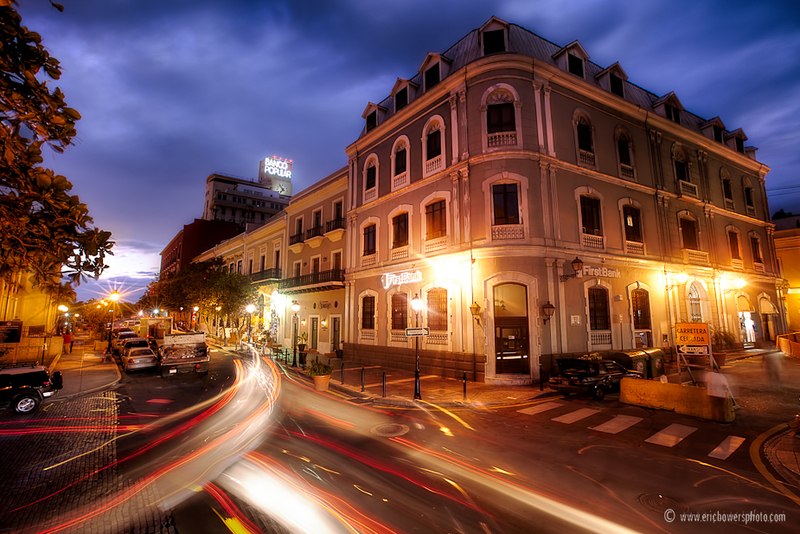 A street scene looking west after sunset in Old San Juan, Puerto Rico, back on March 21. 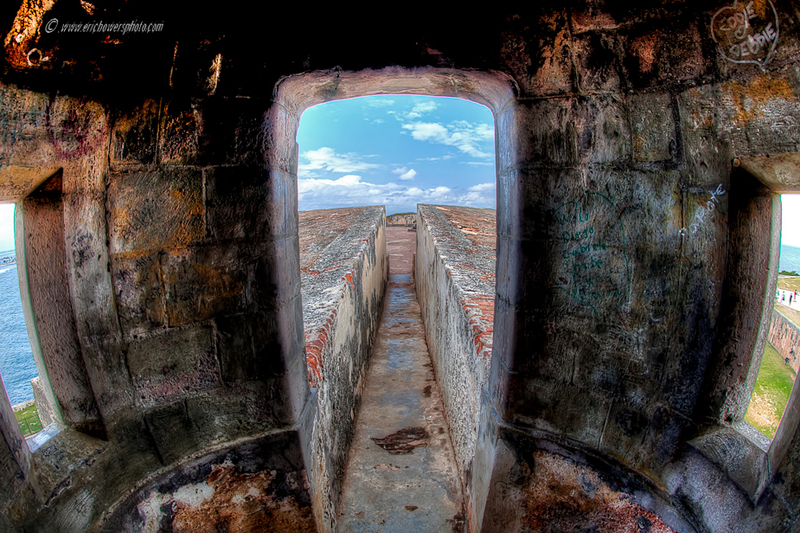 A fisheye lens scene from inside one of the old sentry lookout points at Fort San Felipe del Morro in Old San Juan, Puerto Rico, taken last month on my trip to the island.